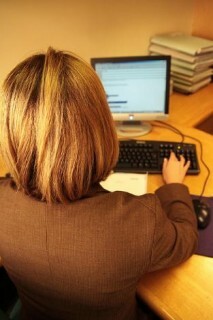 The Women’s Business Council believes a shortage of women in work is holding back the UK economy. In a government-backed report published on 4 June, the Women’s Business Council (WBC) has claimed that economic growth could be up ten per cent by 2030 if there were as many women working as men. The WBC, which the government set up in 2012 to maximise women’s contribution to economic growth, also claims that over 2.4 million women want to join the labour force and 1.3 million would like to increase their hours. Ruby McGregor-Smith, chair of the WBC, urged the government to ‘unblock this mismatch and optimise the potential for the UK’s economic growth’. In the report, she writes that the financial crisis and recession in 2008-2009 has made action essential and urgent. ‘The UK faces unprecedented challenges in the current financial climate, with businesses operating in one of the toughest economic situations the UK has ever seen. ‘It has never been more important to fully capitalise on the skills and talents of all people, regardless of their gender,’ McGregor-Smith continues. The WBC has recommended to the government that four key areas need to be improved. The first area concerns supporting girls at school. Since girls tend to outperform boys in exams but end up in lower paid and less skilled work, the WBC believes that schools need to broaden girls’ aspirations and their understanding of career choices. This could be done through work experience, better career guidance services and encouraging girls to study science, technology, engineering and maths. The WBC says that greater support is also needed for women who are in the middle of their working lives. Seventy-six per cent of businesses said that flexible working has a positive effect on staff retention, proving that flexible working can help mothers stay in work and in the process aid the economy. Help with the cost of childcare would also boost the number of working mothers. The third area for improvement concerns women in the last phase of their working lives. The WBC said that boosting older women’s skills and supporting those with caring responsibilities would enable them to find better paid work and work for longer. Creating opportunity for everyenel, raising aspirations and enabling people to maximise their talents, would mean stronger economic growth, McGregor-Smith explained. The WBC also encouraged the government to help women set up their own businesses, since with women half as likely as men to be entrepreneurs, meaning that the economy misses out on their input. At the launch of the report at the London Stock Exchange, Culture Secretary Maria Miller pledged her support for the WBC and its recommendations. “There is clearly much more that we need to be doing and today’s report highlights that,” she said. “The priority now is to build that momentum of women’s role in the workplace across the economy as a whole. “It’s about unlocking that untapped potential of women in the workforce more widely, and supporting women moving up through the ranks, bringing sustained benefit to the British economy in the longer term,” she said. The Ministerial Taskforce will publish an action plan in August and the WBC will produce a second report next year to assess the progress that has been made since its recommendations were released.